The numbers are striking: More than 6 million kids are missing 15 days or more of school a year. Chronic absenteeism rates are highest in high school: more than 2 million high schoolers are missing 15 days or more. The figures for minority students are even more alarming: More than a fifth of black high schoolers are chronically absent. It's 20 percent for Latino high school students and 27 percent for American Indians and Native Alaskans. "Even the best teachers can't be successful with students who aren't in class," said Education Secretary John B. King Jr. He warned that these numbers are alarming, especially in terms of the administration's efforts to focus on the persistent achievement gap between minority and white students. 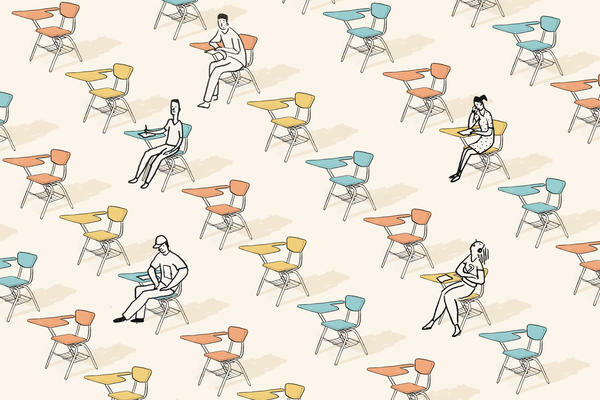 This is a new metric for schools — many have not regularly collected information on chronic absenteeism. They, instead, used figures for average daily attendance — how many students show up on a specific day. Or they report figures for truancy — a more narrow number of unexcused absences that varies by state. Experts argue that tracking absences by kid is a more useful data point. Under the new federal education law, however, school districts will need to gather this information and report it — in order to be in compliance with the law. Here's a reason some kids don't do well in school - they are not in school. The U.S. Education Department asked a question - it's how many kids miss three weeks of school. That's 15 school days. More than six million kids miss that much or more. Minority students are even more likely to be absent, as we hear from NPR's Elissa Nadworny. ELISSA NADWORNY, BYLINE: More than a fifth of black high schoolers are missing a big chunk of the school year. It's 20 percent for Latino high school students and even higher for American Indians and Native Alaskans. For white highschoolers, it's 17 percent. These numbers are part of the Civil Rights Data Collection, a survey by the Education Department of more than 95,000 public schools. The data is from the 2013-2014 school year. It's the first time the survey asked for the number of students who were chronically absent. John B. King, Jr., the secretary of education, puts it bluntly - even the best teachers aren't successful if the kids aren't in class. It's one of the oldest issues in school improvement, just getting kids to show up. ROBERT BALFANZ: In many cases, the kids we're trying to give these better schooling opportunities to the most are not there regularly to take advantage of them. NADWORNY: That's Robert Balfanz, who studies absenteeism at Johns Hopkins University. Research shows that students who miss this much school are way more likely to fall behind, even drop out. BALFANZ: The things keeping kids out of school run the gamut from health, to housing, to the justice system. NADWORNY: Most schools don't track this metric. Instead, they use average daily attendance - how many students show up on a specific day - or truancy. But experts argue chronic absenteeism, tracking absences by kid, is a more useful data point. HEDY CHANG: This actually tells us something about whether kids get an equal opportunity to learn. NADWORNY: Hedy Chang heads Attendance Works, a group that has been pushing for schools to target the kids who are missing a month or more of school. She says chronic absence is like the check engine light in your car. CHANG: It goes off. You know something is amiss. But unless you open up the hood and start to figure out what's amiss, you can't find the solution. NADWORNY: Schools can now start to open that hood. Today, the Obama administration released a website that maps out this data. And chronic absenteeism numbers aren't going away. Under the new federal education law, school districts will need to gather this data and report it in order to be in compliance with the law. Elissa Nadworny, NPR News, Washington. Transcript provided by NPR, Copyright NPR.